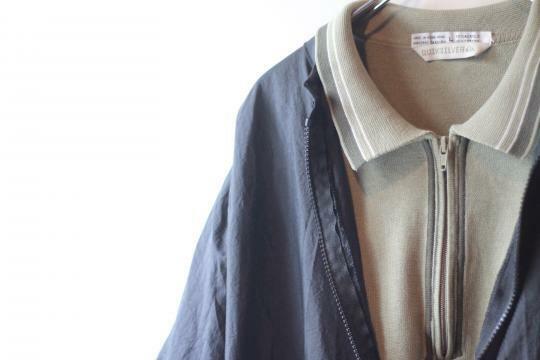 in : 90's "QUIKSILVER" half-zip polo. 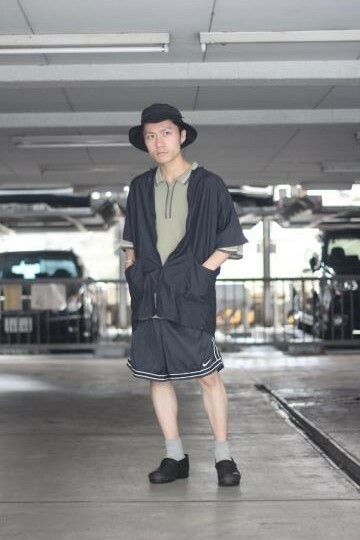 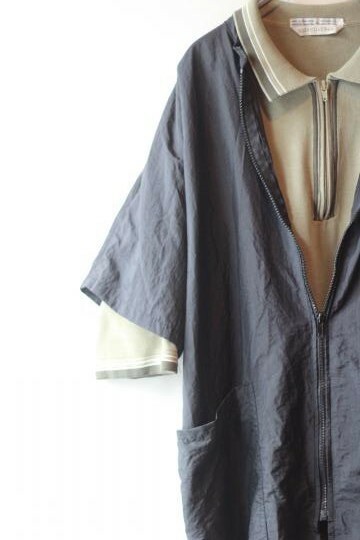 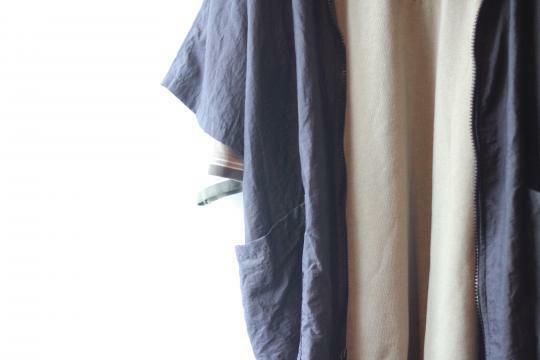 out : 80's no-collar zipup nylon shirt. 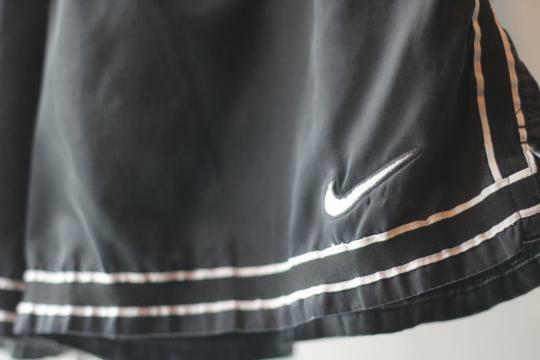 90's "NIKE" sport nylon shorts.